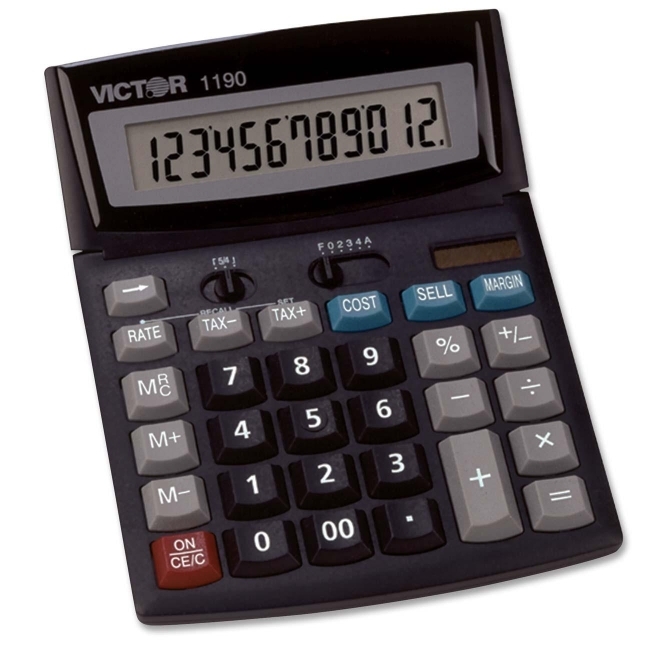 Desktop display calculator features a super large, easy-to-read, 12-digit tilt liquid crystal display (LCD). Cost-sell-margin keys allow you to solve CSM problems quickly and easily. Simply enter two variables, and the third appears. Other functions include three-key independent memory, tax rate keys, tax +/- keys, percent key, six decimal settings, round up/down feature, automatic constants, change sign key and backspace key. Calculator runs on solar power with battery backup. Dimensions: 6" x 7.75" x 1.25"